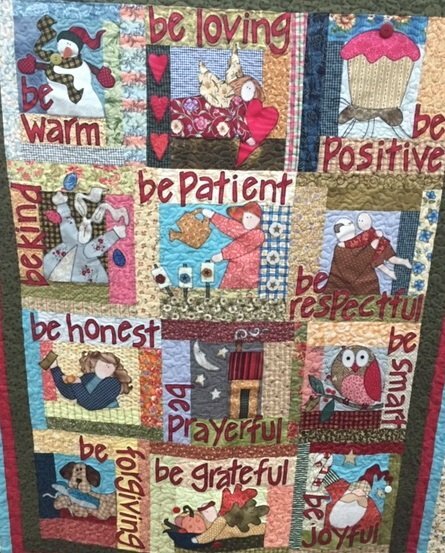 In the new year we will be starting this Be Attitude quilt by Art to Heart. Come each month and make your applique block. By the end of the year you will have 12 large blocks that make up the quilt. This is a great way to fellowship at Threads Run Thru It Quilt Shop. Applique Club has been our most popular. Kits will be available each month. Your Kit fee and Class fee are combined. Purchase the book and red kit ahead of time for pattern and letters. Book will be available late Nov.